A Canadian Labour Congress (CLC) Town Hall pharmacare meeting in Red Deer concluded on a practical note earlier this week, with moderator Pat Couture requesting help to convince one of their Conservative Members of Parliament, Blaine Calkins, to support the introduction of a universal drug plan for Canadians. 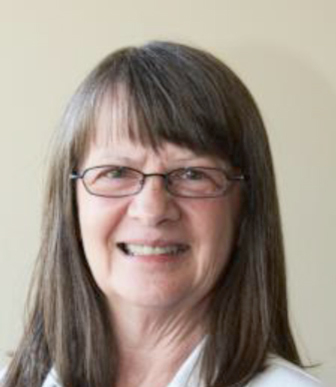 “The town hall meeting helped focus on how to make pharmacare happen.” Pat Couture is an Executive member at large with the Red Deer and District Labour Council (RDDLC). She is also an AFUR provincial executive member. Couture believes the momentum for such a plan is building, with the release of recent House of Commons report, recommending ways to establish it. FOM representative Sandra Azocar provided an overview of what many groups are now proposing, while CLC representative Heather Erlen urged participants to become involved by joining the campaign in Red Deer. 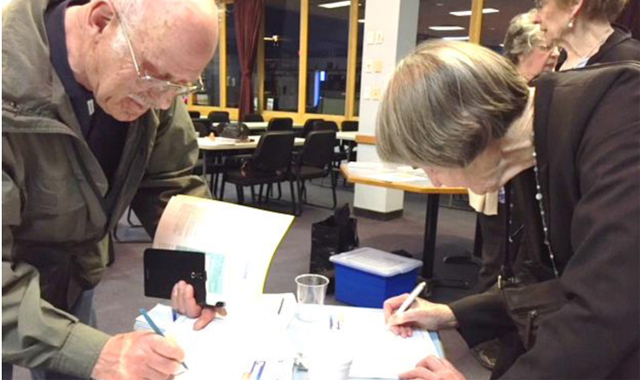 AFUR President Lucien Royer said that seniors’ organisations have joined that campaign by helping to coordinate a petition campaign, with plans to lobby all MPs in Alberta. Couture said pharmacare was now on the agenda for many activists in Red Deer. “We know that 92% of Albertans support a universal program, many who live in this part of the province and we aim to have their voices heard in the national debates about pharmacare” she concluded. Participants in Red Deer line up to sign and pick up pharmacare petition forms.